3. 9 and Jefferson. Park grass lot SW corner. Kalamazoo County: Westnedge & Milham by Southland. Bring your own BOLD Trump signs and/or flags! 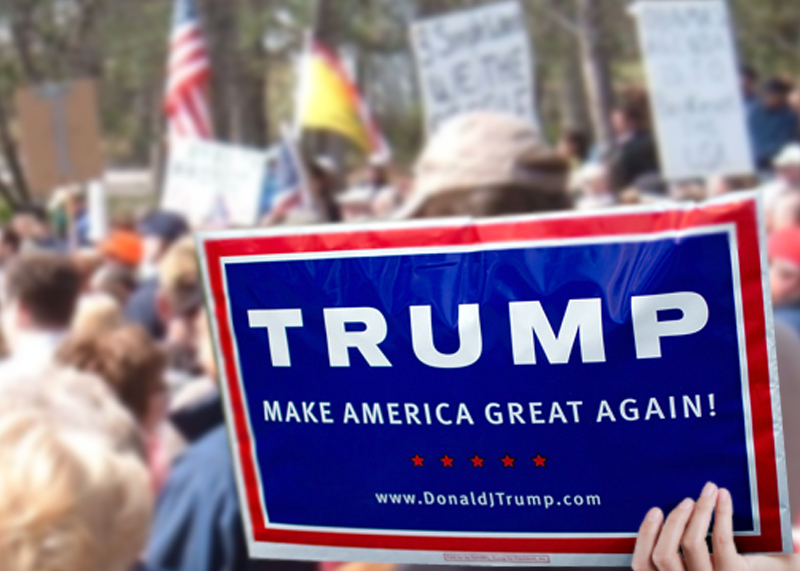 Join other grassroots activists across the State and help turn this State RED for TRUMP! ← Presidential Debate Crawl – Update. How about a needed list of (simply) the 10 most egregious proposed laws to date with any remote chance of passing in the lame duck, before or after? I would really like to challenge somebody much more historically astute than myself to point out the last time (save Senate Bill 1129 of 2012 or "pension obligation bonds with no vote of the people required") that this much (bad) legislation stood ready to be passed with this much of a recorded assurance that these terrible bills WILL indeed be passed or (worse yet) lame ducked in to law? Perhaps handing out even one individual's 'guess' as to what the top 30 or so of these unanimously (or near) proposed bills actually ARE would spark some kind of outrage or debatable feedback for those who had no idea that bad Michigan legislative history was about to made (yet again). Our kids are going to look back at historic election cycles such as these and ask if we were just plain stupid.. 'or'.. if we really believed that singularly prioritizing controversial national issues/personalities would effectively mask the stench of local (parallel) corrupt bi-partisanship law making. I'm not sure if people are even reading what comes through on a MichganVotes email subscription (anymore) yet most all current proposals are largely nightmares and definitely not 'forgivable' in terms of our children's legacy or history books. If we are not even willing to list the 10 or 20 or 50 or even one hundred 'worst'(? )...then it will be pretty hard to convince these kids (let alone our maker) that doubling down on 'Trump' and 'the big picture' via flash mobs and debate parties (with not even 'opinions' gleaned) was the smart bet in terms of their own backyard. Obviously, you haven't been to one of their events, JD. Go check out one of the locations above. If they're not to your liking, then go check out my update post from Monday Night. There are at least two links that'll bring up ore events. Then tell us what you've heard. "..Go check out one of the locations above...Then tell us what you've heard..."
Michigan conservatives were all told the above earlier this year vs a simple blow by blow at each meeting/convention complete with any real time statewide strategy. The questions above are pretty simple and obviously time sensitive with but a few weeks left. Unfortunately, this 'feigned ignorance' after most conservative-sponsored events has went on for 3 election cycles already. It is pretty hard to get excited about attending anything where current legislation is not even discussed or publicly commented upon let alone law already carved in stone which any "conservative" you're speaking to is no-vote-of-the-people-required using to ride off in to the sunset with (privately/publicly funded generational back breaking pension obligation bonds). Or perhaps blatantly ignoring self-sacrificial issues such as POBs "for just a few more weeks" has been the 'just-get-ME-outta-here' strategy since the great crash and (knowingly) well before. Nobody (in the entire state) can come up with the 10 worst proposed laws with any chance of passing or even comment upon how any ONE would negatively affect their grandchildren...perhaps forever? ...and if you don't believe that "Flint" has already historically (negatively) effected both proposed and passed 'unanimous/bi-patisan' legislation right here in Michigan? Consider that "Flint" (just last night) held up the shutdown of our entire government before our (similarly) Republican controlled House CAVED due to (similar) optics alone. How about an online 'poll' (here) as to the 10 worst proposed state laws on deck both before and/or during the fast upcoming legislative lame duck? "Congress avoided a partial government shutdown at week's end after both chambers passed a short-term spending bill that would keep the government running through early December. A weekslong partisan impasse over the bill broke when lawmakers agreed to provide federal assistance for residents of Flint, Mich., in separate legislation this year. That deal quickly paved the way for the Senate to pass a short-term spending bill, also known as a continuing resolution, that will keep the government funded through Dec. 9." Thank God that Michigan conservatives/TeaPartiers can (now) go down in history as paving the way for the above by not even so much as debating or 'making waves' involving any other controversial "bi-partisan" legislative issue in 2016. Our kids have been never prouder. Michigan conservatives were all told the above earlier this year vs a simple blow by blow at each meeting/convention complete with any real time statewide strategy." Trump was considered a highly toxic pariah by the establishment republican elites earlier this year, so I fail to see how your comment is germane to my point. Look if you don't want to go...that's fine. If you don't want to do any lit drops, phone calls or dropping off signs (or even something so basic as attending any of the flash mobs listed), that's fine too. The last time that I checked, this is all voluntary. No one is going to be checking I.D.s & cross-referencing it with a database to see how much you've volunteered. Although I hear from reliable sources that Team "d" is big on that, especially around any L.U. halls. I also know that these are your choices in not even a month: Trump-R, Clinton-d, Johnson-l, Stein-G, Castle-C and McMullin-I. The first two should be well-known, Johnson only glommed onto the Libertarian Party Ticket because their penchant for a certain green plant, Stein is essentially a carbon-copy of Sanders. Castle & McMullin have done so little to promote themselves (and I'm embarrassed to say so has the US Taxpayers/Constitution Party), that all they are doing right now is just going through the motions until General. I'd be surprised if those two broke 5% of the overall totals combined. Stein's voting bloc will be aging hippies along with their students whom they made to attend her rallies in exchange for class credit. More single digit returns for her in November. Johnson might break into the low double-digits, although I highly doubt that Nolan Finley's not-so-subtle insinuation regarding Trump supporters during his Johnson endorsement will have much to do with it. I wish I could attached a copy of his interview with Paul W. Smith on WJR this am (it's not posted yet), to give you an idea of where in La-La Land Finley flew in from. That leaves us with Trump and HiLIARy. You have Trump, who has essentially told the republicans elites what to go and do with themselves, their trade "deals", their suicidal "immigration" policies, their skewed tax policies and where America's priorities should be in the future. And then you have HiLIARy, a woman who has no scruples, no integrity and no clue on how to fix anything. The only things that she has accomplished depended on whom she slept with and whom she can con out of boatloads of $$$ through her family's "foundation" (which IMHO has more to do with B.J. machinations than HiLIARy's ). America is damaged right now...but fixable. But, if she gets into office, she'll make this country look like Detroit in less than three years (provided some rogue nation doesn't nuke us before then). So, like it or not, those are your REAL choices in November. Or you can just not vote at all, which begs the question: Why are you even posting on this site anyways? "...Michigan conservatives were all told the above earlier this year vs a simple blow by blow at each meeting/convention complete with any real time statewide strategy.."
"...Trump was considered a highly toxic pariah by the establishment republican elites earlier this year, so I fail to see how your comment is germane to my point.."
Michigan Tea Party leadership (all this year) demanded $50 (minimum) and a personal audience/'VIP experience' to be let in on any strategy whatsoever involving MICHIGAN conservative political organizing/debate in 2016. "Trump" wasn't/isn't a pimple on our butts while our state financially/morally implodes. He has become nothing but a purposely shoved forward shiny (diversional) object which any idiot has made his mind up supporting (or not) a long time ago. Ignoring questions involving current corrupt pension funding or even current legislative (possibly raucous) lame duck deliberations 'in real time' only illustrates my point. The silence is deafening. There is no debate. There has never been any debate. Debate shines a very bright light on the backs of those shamefully heading for the exits right now with lifetime bloated retirements and even bigger lifetime Cadillac medical plans. We don't talk about it because "it" is us to our children's chagrin/anger. "...Or you can just not vote at all, which begs the question: Why are you even posting on this site anyways?" Assume that I won't vote...disparage my opinion (above) for said assumption...and then ask why I give it anyways. Did Courser and Gamrat stick the final knife in this movement's heart...or was the single most SILENT grassroots movement in human history actually designed to snuff out pension/lame duck related debate/activism during historic election cycles??? "Ignoring questions involving current corrupt pension funding or even current legislative (possibly raucous) lame duck deliberations 'in real time' only illustrates my point. The silence is deafening." You are aware that this post is dealing with Trump flash mobs across Michigan, and NOT the goings on in Lansing, right? If you've got something to say about the goings on in Lansing, then by all means put some information together, write something and post it here. Thread-jacking isn't exactly the best method to get people to pay attention on what you have to say. I have been wondering (or better yet just simply asking) what exactly happens at a Trump flash mob or wing/theatre party. If this information is not available beyond what has been reported here and these (rare) occasions are not used to educate, poll or even so much as 'debate' what is going on directly outside these venues or even further down the ticket?...then I apologize for hijacking the water cooler afterwards. I wonder how the first American patriots with similarly as much at stake did it. A 'good time to be had by all' must have been guaranteed (minus the treason, subversion or any other revolutionarily risky stuff not necessarily related to making certain that their 'pensions' were indeed secured afterwards). And the next 'real' meeting is...when? "I have been wondering (or better yet just simply asking) what exactly happens at a Trump flash mob or wing/theatre party. If this information is not available beyond what has been reported here and these (rare) occasions are not used to educate, poll or even so much as 'debate' what is going on directly outside these venues or even further down the ticket?...then I apologize for hijacking the water cooler afterwards." Speaking for myself, it is an opportunity for people to get out, interact and even network with other like-minded individuals from across Michigan. Not knowing exactly what topics you are and are not aware of (and how much on each), I'm not going to take the time or space and use the shotgun approach, throwing out a wide array of random topics, hoping that one of them provides you with the epiphany you are apparently looking for. If you want your questions answered, my best suggestion would be to attend one of these rallies. If you'd rather sit behind your keyboard and lament on the overall state of Conservatism here in Michigan, that's your prerogative as well. There is nothing more than I can add, that I haven't already said. "..There is nothing more than I can add, that I haven't already said.."
We are witnessing (late)2012-(early)13 all over again in terms of desperately needed leadership or a solid platform. We'll most likely receive a similarly corrupt lame duck (similarly) minus the flash mobs. Jesus Christ... take a cyanide pill already, you miserable, obsessive, ball bur. Why Gillman chose to allow you to run this site into the ground is beyond my comprehension. CS--thanks we can only hope ball bur heeds your advice. Also, I'm having 10x25MM withdrawal--anybody know what's up? Insisting that people take cyanide pills while slapping each other on the back might have something to do with your perception of many issues...including perhaps why young people never 'bought' the "pay no attention to that man behind the curtain" Oz-like feigned ignorance of Michigan Tea Partiers to "no vote of the people required" 2012-2016 pension obligation bond outrage. it is very difficult to recruit grandkids to a grassroots movement while their own piggy banks are being smashed by gram(ps) desperately seeking a fast (and easy) way out of town. ...then again...if all those responsible for the mess that we're in (my generation and older) along with all those asking similarly simple questions involving our children's immediate future...were to take the "cyanide pills" that both CS and Sue advocate? ...who would 'pay' for the bloated pensions/benefits which our kids will never receive for doing the exact same jobs made exponentially more difficult..'by'...those (intentionally) avoiding questions/attacking answer seekers during the single most important election in our children's history??? Us older people don't really think things out much (while hoping/praying that younger people don't angrily revolt/break out the torches/pitchforks on us).